In the beginning of the year while promoting "The Incredible Burt Wonderstone", Jim Carrey announced that he had written his first children's book, called "How Roland Rolls". This book it's the story of Roland, a wave who's afraid that, one day, when he hits the beach, his life will be over. But when he gets deep, he's struck by the notion that he's not just a wave - he's the whole big, wide ocean! Jim wrote the book for kids and parents to enjoy time together and also to send a good and positive message through the story of Roland. 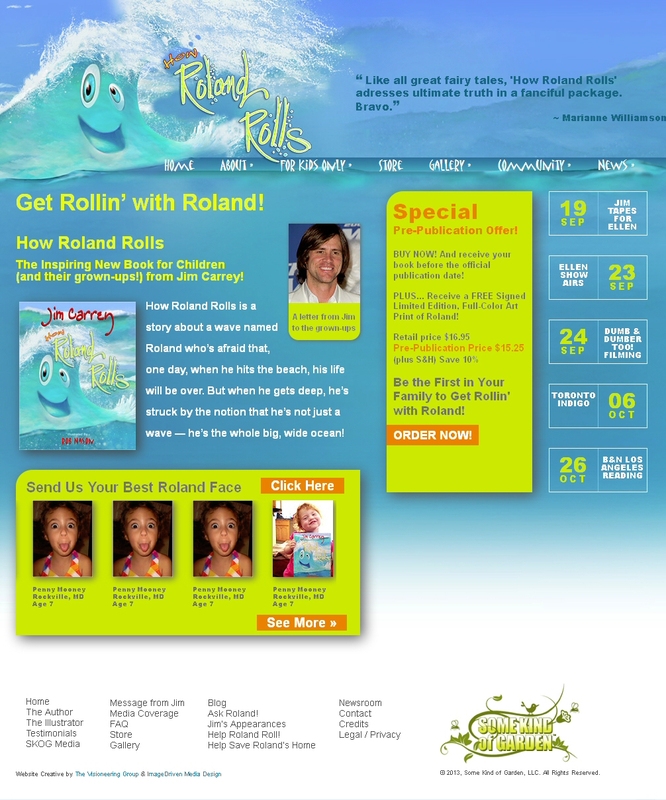 The website has actually been reconstructed recently with lots of new information to help kids and parents to get "Rolling" is Roland's World! There's a special section for kids to ask Roland questions and to share pictures of them as well as information on how to safe Roland's beloved home: The Ocean. There's also a blog where Jim Carrey and Roland will be sharing their thoughts... on everything! So click on the picture and buy your copy of Rolland's journey and take advantage of the pre-publication offer! We are already rolling... so join the wave!